Over the years Hollywood has become more and more willing to explore the tragic events that unfolded on September 11, 2001. We’ve seen films showcasing the heroism of men and women who ran into the World Trade Center, we’ve seen the doomed battle to prevent further atrocities in United 93, and we’ve seen myriad war movies exploring the ramifications of that day. 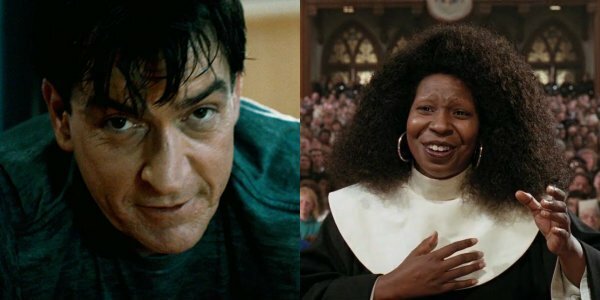 The next 9/11 movie to hit Hollywood will explore September 11 from a terrifying, claustrophobic angle, and – weirdly enough – star Whoopi Goldberg and Charlie Sheen. Trust me, it's not as odd as it sounds. I know, hearing that Whoopi Goldberg and Charlie Sheen will headline a 9/11 movie almost sounds like the punch line to a bad joke, but according to a new report from Variety, it might actually be incredibly powerful. The film, aptly titled Nine Eleven, will explore the events of that terrifying day from the perspective of five people trapped in a World Trade Center elevator. As the planes crash into the buildings and the catastrophe unfolds, they struggle to band together in a desperate battle for survival. Think of it like a much more realistic version of M. Night Shyamalan movie Devil, except the terror comes from a factual, awful event still fresh in the minds of people around the world. At first glance one could think that casting Whoopi Goldberg and Charlie Sheen in a 9/11 film is a strange choice. Both actors have developed reputations for comedy, as well as their own off-screen antics. However, as native New Yorkers, both actors have admitted that it’s a story they genuinely want to tell, and tell correctly. With this movie taking place in such tightly confined quarters, it seems likely that Nine Eleven will focus less on the political nature of that day, and instead attempt to highlight the resourcefulness and perseverance of a group of individuals simply fighting against impossible odds. This could make for some incredibly chilling character moments that neither actor has exhibited on screen in years. In addition to Whoopi Goldberg and Charlie Sheen, the Variety report also indicates that Luis Guzman (Narcos), Wood Harris (The Wire) and Olga Fonda (The Vampire Diaries) have also joined the cast. Whatever goes down in that elevator, it seems likely that it will involve exploring these culturally and ethnically diverse identities, and their ability to come together during a horrifying ordeal. Honestly we sort of regret rolling our eyes the first time we heard the basic idea behind Nine Eleven. Upon further examination it’s abundantly clear that the movie will endeavor to tell a story that not only exhilarates the audience, but actually has something to say about the events of September 11, 2001. We will bring you more information related to Nine Eleven as it becomes available to us.